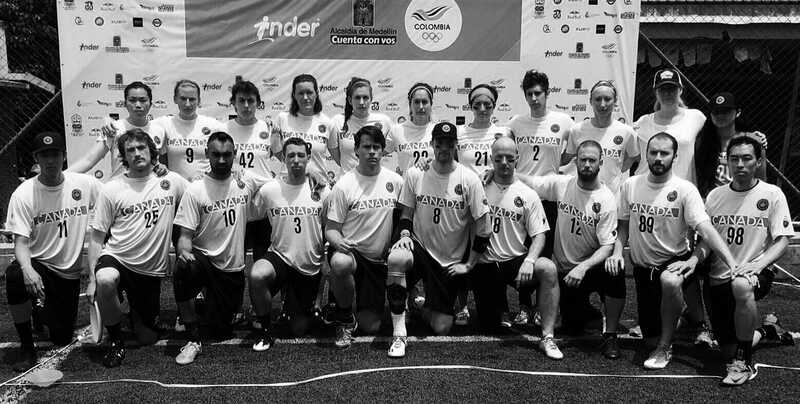 WROCLAW — Canada medaled at the World Games for the fourth time in five appearances, defeating Australia 13-11 in the bronze medal match. Mark Lloyd threw five assists, Brendan Wong scored five goals, and Catherine Hui added three goals to lead the way for the Canadians. Women dominated the first few points, as Hui scored two early goals and the Aussies ran a horizontal stack using four women cutters featuring Cat Phillips. Lloyd was also an early fixture, bombing two hucks and a huge hammer in the first three points as the teams traded quick scores. Neither team’s defense had much of an impact at all. Canada’s Andrew Carroll’s handblock straight off the pull kept up the rapid-fire scoring, as he caught the goal from Morgan Hibbert for the early bookends break to make it 4-2 Canada after just nine minutes. Both teams tried some zone to no effect until a Tim Tsang throw went behind Laura Mason, giving Australia a break chance. Hui immediately handblocked Tom Tulett, though, in the reverse gender match up on the fast break. Canada punched in the hold to go up 6-4. A slippy forehand from Australia missed its target in the next point, hanging in the middle of the field where Peter Blakeley attempted to recover it, but he went up too early and Geoff Powell made sure it would be a turnover. Canada took half 7-4 as Hibbert found Carroll in the endzone. The light rain made conditions treacherous, particularly players’ footing: slips were commonplace. After an Aussie hold, Wong fell over as a blade was thrown to him over the cup, yet he somehow managed to catch it from his knees. The Australia zone was designed to narrow throwing lanes but Canada was swining the disc way too fast for the poaching to be effective. Tsang hit Wong for the goal. The pressure was clearly mounting on the Crocs with the Canadians playing such a good game. That was evident when Rob Andrews popped up a throw over the wide open Phillips. Canada were again perfect, as Jessie Grignon Tomas threw a perfect huck to Carroll, who dished to Terri Whitehead for another break to make it 9-5. Multiple slips, falls, layout bids, and catches entertained the crowd in the next point before Tulett found Ashcroft for the hold, but the Crocs needed a break now if they were going to stand a chance of going away with the bronze. They took a timeout and managed to generate just the second turnover of the game from Canada, as Hui’s rushed pass flew too far in front of Wong. The constant swirling of Tulett helped to reset the disc, but he looked off a lot of open throws. Lochlan Wise smartly called a timeout with the chance for a critical break. Mark Evans looked off a wide open Mikhaila Dignam to throw a floater to Brendan Ashcroft, who skied Tsang and dished to Rebecca Brereton to break and get back within two. Mark Lloyd steadied the Canadian offense on the next point, slowly working the disc downfield for the 10-7 lead. The teams traded to 12-10 with Canada receiving on game point. Tulett launched a huge bid while covering Tsang, but came up empty. Tsang saw Hui streaking deep and put it up for the win, but Phillips peeled off and got a huge sky block. Lloyd stole it back for Canada, poaching in on a Dignam throw, before overthrowing Tsang in a nervy point; until this point, Canada had only turned it over three times in the entire game. Lloyd went for another poach block, stepping into the reset lane of an exhausted looking Crocs team, but instead was punished for it as his man, Wise, caught the hammer for the break. On the next point, Canada’s offense stalled until Andrews came up with a big layout block on Hibbert, but a foul call went uncontested. Hui spotted Whitehead deep for the win, but the hanging throw was poached on by Blakeley; as Blakeley jumped, Powell went up. A few passes later, Lloyd hit Kevin Underhill, toeing the back line for the win and a spot on the podium. Credit to both teams on a clean game with very few turnovers. Comments on "Canada Holds Off Australia To Claim World Games Bronze"